Providing more versatility in the kitchen than ever before, we’re excited to introduce the new Dual Fuel range. Available in 30”, 36” and 48” NEXT models and 36” and 48” DECO models, the Dual Fuel range offers more efficiency for everyone, including features such as self-cleaning capabilities and the new Home Chef software system. Depending on the model size, ranges include four, or six gas burners, all featuring power up to 18,000 BTUs and simmer at 750 BTUs. Each Dual Fuel in the NEXT series is available with a PANORAMA or Classic window. The unique SUPERIORE Home Chef system allows users to customize their cooking experience by choosing conventional time methods or a SUPERIORE cooking experience thanks to a meat probe that ensures fantastic results. 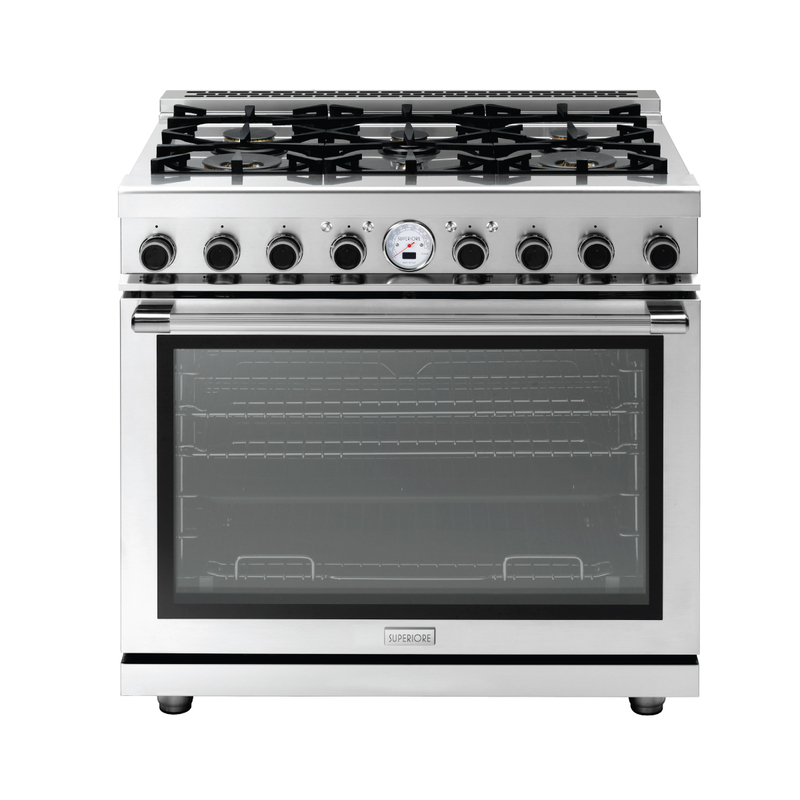 Home Chef is a standard feature with all Dual Fuel ranges, in addition to Star-K compliancy. Dual Fuel models also come equipped with the exclusive SUPERIORE Cool Flow System. This innovative technology generates a flow of cold air from internal fans which helps keep exterior surfaces like oven door, touch knobs and handles cool to the touch, without compromising cooking performance. 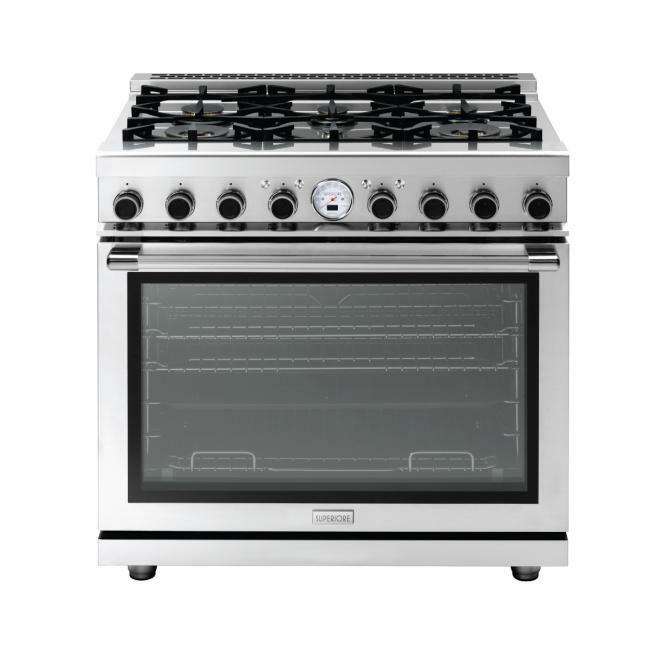 This popular configuration of a gas cooktop and electric oven expands the SUPERIORE product line in North America, designed for real cooking experiences in the home.